Dr Klein Promox/Remox Patients who need help! Hi guys I joined here to help the people who like me were good loyal customers of Dr Oscar Klein. I have been a member on two other major forums check below, I have found an alternative to Dr kleins products since he passed away and I have been using the exact copy lotion that works the same. To anyone who knows Dr kleins office no longer sell us his prescription lotions anymore. 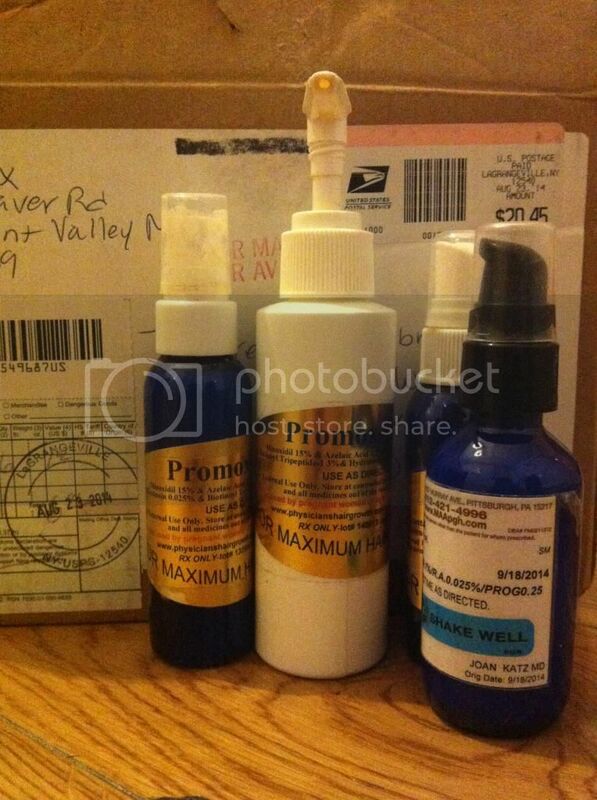 I had been using his promox lotions for 2 years with great success. You need to buy 6 months prescription here. Follow the Dr Klein link and put in the exact ingredients you are using currently from Dr kleins products. Once you have payed for your prescription with the medcial wellness they will then email your prescription to Susan. Susan has been selling the same products for years luckily I found these guys as an alternative. You can do a search on her background but her details are below, once she receives your prescription she will than formulate you the products, they are 5 dollars more than Dr kleins. I did my best to reduce prices. Price lists if you guys have forgot are on hairsite website, typical Dr Klein sold 60ml prescription lotion 15% Promox for $84 Susan sell the same for $90. If you still struggle and need help email me, jass897@hotmail.com. Hi guys I got an email from The Medical Wellness center and they offering all you guys a discount and a chance to try their prouducts from Susan. Hey I just got an update email from Susan as people get confused plus so many people keep phoning her asking the same questions. 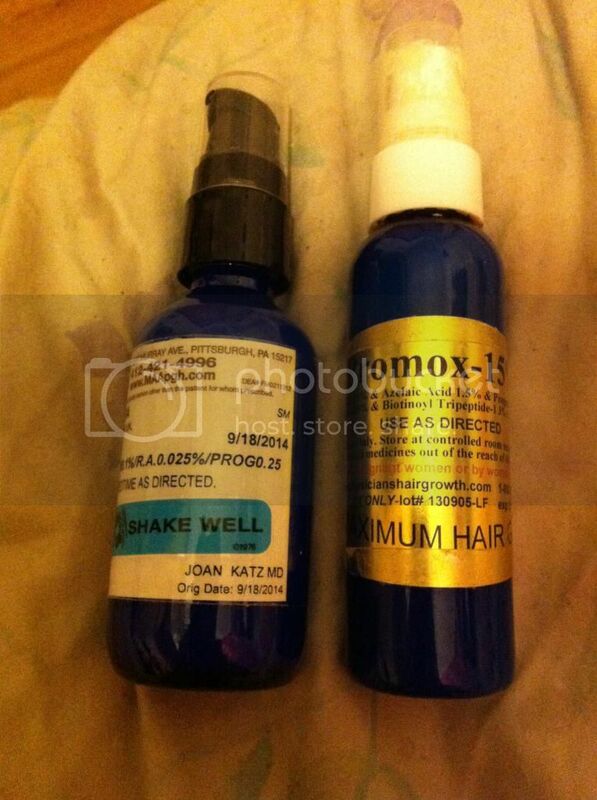 NOTE: IN THE 5% SPRAY IS MINOXIDIL 5%, FINASTERIDE 0.1% AND AA 5%-NO OTHER ADDITIVES!!!
? We do not recommend adding grape seed extract to a topical formulation because of concerns with staining and there is no scientific literature to prove efficacy. In addition to our custom minoxidil formulations, we have a combination acetyl-glutathione and biotin liquid for daily use. Acetyl Glutathione with vitamin C and E.
? Acetyl-Glutathione - potent anti-inflammatory and antioxidant, stimulates mitochondria, breaks down DHT, and detoxifies environmental xenoestrogens which are commonly found in fragrances, bath and body products, personal care products, and cleaning and laundry products. Hair health involves the follicle. *1/3 of hair is in the growing phase, 1/3 is in hair loss phase, and 1/3 is in the process of development to maturity. *The goal is to protect the DNA and prevent free radicals from breaking down the cells in the follicle. *To that end we recommend use of antioxidants, SLS-free shampoo/conditioner (Check out our line of NON-TOXIC STIMULATING shampoos and conditioners on our hair loss page), and avoidance of pesticides/chemicals in food and water, and eating healthfully. Murray Avenue Apothecary’s DHT/Hormone Balancer Caps-contains Saw Palmetto (alternative to finasteride) with other DHT balancing ingredients for hair loss and prostate health. When there are too many ingredients to fit on the label we put it under the directions (please read!). Typically putting the Biotin in the RX minox topical as when there are too many ingredients the efficacy decreases as it is impossible to absorb so many in one formulation. This is why they increased the dose on the Acetyl Glutathione with Biotin to 3% of each ingredient WITH Vitamin E as well. The Vitamin C is 20% and should be alternated with the Acetyl Glutathione /Biotin/Vitamin E formula every night. They now have their own shampoo/conditioner and Progesterone leave in formula as well. Also the website link to their hairloss page at http://www.maapgh.com/hair.html where you can get all the information you need on their adjunct hair loss formulas. More information can be found on her website aswell as her other Great products such as Acetyl Glutathione, Vitamin E, Biotin, progesteone, Vitamin C mixtures. This shampoo is formulated with refreshing Aloe Vera gel, calendula oil, chamomile extract, and pure & natural essential oils. Sea Buckthorn helps add balance and strength while the Orange Essential Oil blend works as an antioxidant. This shampoo with its natural ingredients gently cleanses your hair leaving it soft and manageable. It is free of parabens & sulfates with no harmful chemicals and is a gentle shampoo for frequent use for all hair types. Directions: Wet hair, then massage shampoo into scalp and hair concentrating on the ends of the hair, work into a rich lather, then rinse. Best to follow with Daily Conditioner. Ingredients: Purified water, certified Organic aloe vera gel, coconut wax, corn sugars, MSM, vegetable protein, vitamin B complex, vitamin C, vitamin E, sea buckthorn, saw palmetto extract, vegetable glycerin, certified organic chamomile extract, guar gum, certified organic lavender hydrosol, certified organic jojoba oil, wintergreen oil, l-arginine, potassium sorbate, kelp extract, calendula extract, comfret extract, rosemary extract, sage extract, soap bard extract, orange essential oil blend. This conditioner is a light conditioner perfect for all hair types. Sea Buckthorn helps add balance and strength, while the Orange Essential Oil blend works as an antioxidant. This conditioner provides manageable hair, helps condition the scalp and leaves your hair healthy and silky. It is also free of parabens & sulfates with no harmful chemicals. Directions: Apply all over hair, focusing mostly on the ends. Leave in as desired, and then rinse. Use daily to strengthen hair root to tip. Ingredients: Purified water, coconut oil blend with emulsifiers and sugars, coconut fatty acid cream base, guar gum, MSM, aloe vera extract, vitamin B5, vitamin C, vitamin E, biotin, sea buckthorn, rosemary extract, sage extract, horsetail extract, amino acid complex, vegetable glycoprotein, orange essential oil blend. This shampoo contains peppermint, L-Arginine (an amino acid), eucalyptus and rosemary. Their revitalizing and nourishing properties increase circulation, adding strength and body. The Wintergreen Oil and Eucalyptus Oil blend stimulates and rejuvenates hair follicles. This shampoo is an invigorating formula used to revitalize dull and lifeless hair while increasing elasticity to prevent breakage. It is also free of parabens & sulfates with no harmful chemicals. Directions: Wet hair, then massage shampoo into scalp and hair concentrating on the ends of the hair, work into a rich lather, then rinse. Best to follow with Stimulating Conditioner. Ingredients: Purified water, certified organic aloe vera gel, coconut wax, corn sugars, MSM, vegetable protein, vitamin B complex, vitamin C, vitamin E. saw palmetto extract, vegetable glycerin, certified organic chamomile extract, guar gum, certified organic lavender hydrosol, certified organic jojoba oil, wintergreen oil, l-arginine, eucalyptus oil, kelp extract, calendula extract, comfret extract, sage extract, soap bark extract, soap wart extract, peppermint tea tree essential oil blend. This conditioner formula contains Wintergreen Oil, L-Arginine (an amino acid), and Rosemary. Their revitalizing and nourishing properties increase circulation, adding strength and body. Increased circulation helps promote fuller, stronger and more vibrant hair. The Rosemary Extract blend helps stimulate hair follicles, encouraging hair growth. This conditioner is an invigorating formula of peppermint, rosemary and eucalyptus for fuller, stronger hair with radiant shine. It is also free of parabens & sulfates with pure and natural essential oils. Directions: Massage conditioner through clean, damp hair. Leave on for 1-2 minutes, then rinse. For best results, start with Stimulating Shampoo. Ingredients: Purified water, certified organic aloe vera juice, coconut wax, corn sugars, coconut fatty acid cream base, MSM, vitamin B5, l-arginine, certified organic jojoba oil, willow bark extract, niacin, wintergreen oil, saw palmetto extract, vegetable glycerin, certified organic chamomile extract, eucalyptus oil, guar gum, peppermint tea tree essential oil blend. This treatment contains organic chamomile extract, organic sage extract, organic nettle extract, and organic lavender extract to strengthen, protect, and repair distressed hair adding shine and manageability. It also contains Progesterone. Organic chamomile revitalizes as it conditions the hair and scalp. Organic nettle extract adds natural gloss, and may be a good “tonic” for the hair. This treatment is an ultra-light formula that detangles hair while offering all-day defense without dulling residues. Daily use will leave hair feeling smooth and manageable, adding strength and shine. It is also free of parabens & sulfates with pure and natural oils. Progesterone is an alpha-reductase inhibitor which decreases production of DHT, the stronger Testosterone associated with Hair Loss. This product may also prevent hair loss by limiting excess DHT. Directions: After shampoo and conditioner, squeeze any excess water out of hair and lightly towel dry. Massage a dime size dab into scalp once daily. Leave in for 15 minutes, then rinse. Ingredients: Progesterone USP, purified water, organic aloe vera gel, coconut wax, palm oil compound, vitamin B5, comfrey extract, organic jojoba oil, canola oil compound, organic rosemary extract, organic horsetail extract, organic nettle extract, organic lavender extract, biotin, soy protein, vitamin C, potassium sorbate, glycerin, grapefruit essential oil blend. What’s in our shampoos and conditioners? MSM- methylsulfonylmethane - MSM provides sulfur, a fundamental building block of joints, cartilage, skin, hair and nails, and methyl groups, which support many vital biochemical processes in the body, including energy production. MSM is a naturally-occurring nutrient found in small amounts of many foods. It has anti-inflammatory and pain reducing properties, and can block pain response in nerve fibers. MSM can also reduce scar tissue by altering the cross linking process in collagen to allow tissue repair and healing to take place. Omega 3 - There is a strong link between Omega 3 and skin health. Omega 3 fats play a significant role in reducing inflammation on our skin and in our bodies. Omega 3 helps to replenish oils on the skin that may be lost from exposure to wind and sun causing skin dryness or flaking. There are also various skin conditions that can benefit from Omega 3 including eczema, dermatitis and psoriasis. Moreover, the detoxification properties of Omega 3 help to make the skin look brighter and more radiant. Borage Seed Oil - Borage seed oil is one of the richest sources of GLA (Gamma-Linoleic Acid), a therapeutic Omega-6 essential fatty acid and has been studied for its benefit of dry skin, eczema and psoriasis. Sea Buckthorn - Sea buckthorn contains palmitoleic acid, also a Omega-7 fatty acid and is rich in vitamins such as C, E and amino acids. Omega 7 is also present in human skin making Sea Buckthorn a natural choice for moisture replenishment in hair and body. Sea Buckthorn will help promote hair growth, renew dry hair, add shine and has U-V blocking properties. Broccoli Seed Oil - While Broccoli is usually thought of as a healthy vegetable and fibrous plant, its seed contains an interesting and beneficial fatty acid. This fatty acid’s composition closely resembles silicone but is plant derived. It gives shine and gloss to dull and lifeless hair. Broccoli seed oil is becoming increasingly popular as an organic option to silicone in all natural hair care products where shine and luster is needed. Macadamia Nut Oil - Also rich in Omegas, Macadamia nut oil is a highly nutritive and emollient oil. It closely resembles sebum, the oil our bodies and scalp naturally produce. We use Macadamia nut oil in our restorative hair care products for its compatibility with the body and restoration to hair in need of nourishment. No Artificial Fragrances - We use only essential oils, the pure essence of a plant. Essential oils have been found to provide both psychological and physical benefits when applied to the skin. No Sodium Lauryl Sulfate - Sodium Lauryl Sulfate is a harsh detergent that strips the skin’s moisture barrier (which is linked to immunity and skin health) and may cause serious health problems during testing. It is also known to form nitrosamines, a potent carcinogen. No Parabens - Parabens are chemicals, such as methyl, propyl, butyl and ethyl and can be found in 90 percent of all skin care products and cosmetics. Studies suggest they may interfere with the body’s endocrine system, which is made up of glands that produce and secrete hormones. Parabens can also imitate the estrogen hormone, influencing high levels in the body, which may be linked to breast cancer. Gluten Free - Our Vitamin E is not sourced from wheat germ but instead is sourced from soy; a consideration to our customers who are sensitive to wheat products. Vegan - No animal ingredients in our products. No Harmful Chemicals - We use the purest all natural and organic ingredients available. All of the ingredients are simple and recognizable.